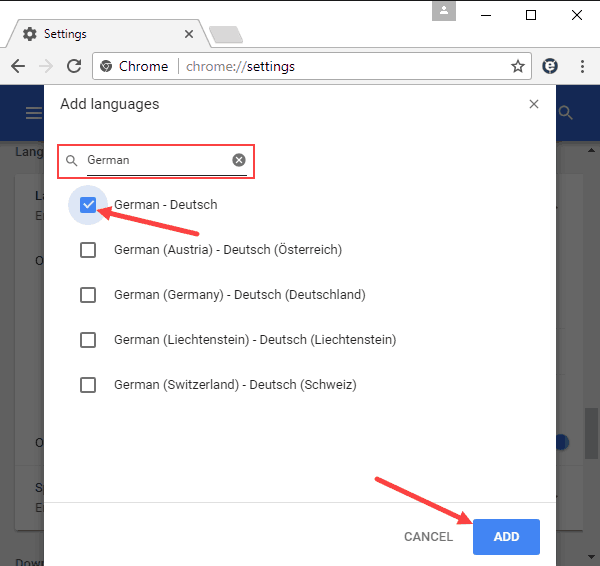 The option exists to configure Google Chrome in different languages. The language you choose applies to all of Chrome’s settings and menus. 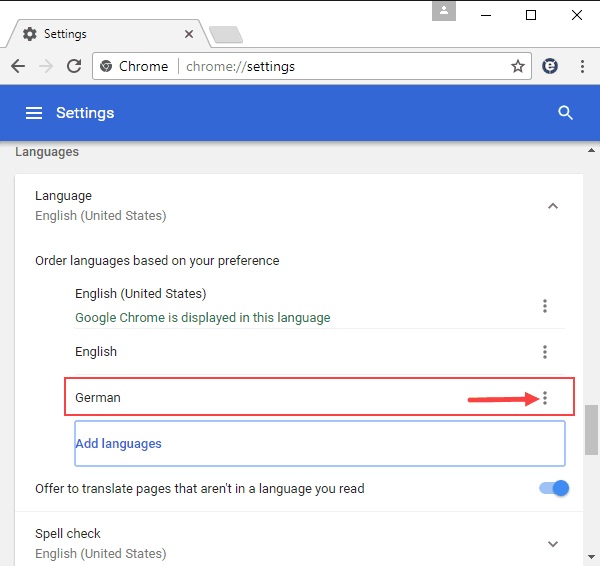 This tutorial shows you how to change languages in Google Chrome running on Windows computers or Chromebooks only. 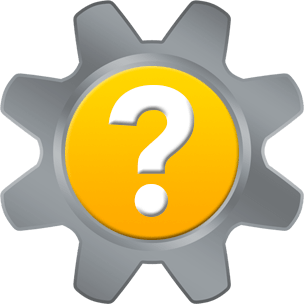 For users on Mac or Linux computers, Chrome automatically displays in the language you have configured as the default system language. Setting a new language for Chrome involves adding the new language from a pre-defined list. 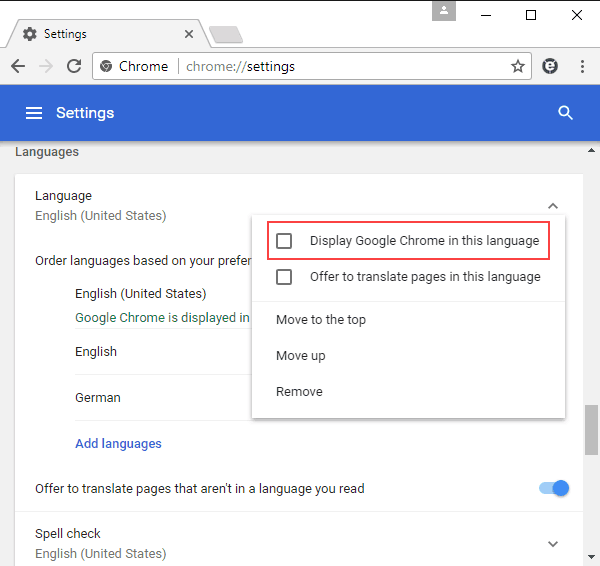 Once you have added the language to Chrome, you will need to choose that language as Chrome’s display language. The steps below show you how to add the language and then set it as the display language. button and choose Settings. 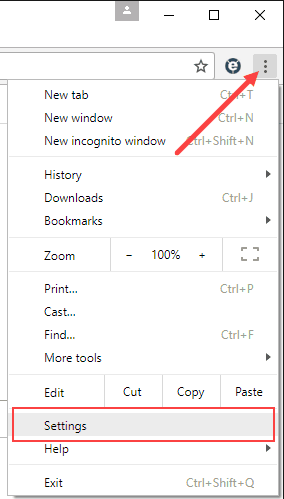 You can also go directly to Settings by typing chrome://settings/ into the address bar. In Settings, scroll down and click Advanced. Continue to scroll through the Advanced settings to the Language section. You can also type chrome://settings/?search=language to go directly to the Language settings. 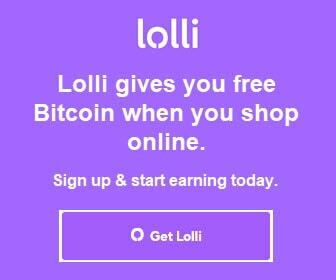 Click the Add languages link. A comprehensive list of languages in alphabetical order displays in a new Add languages window. 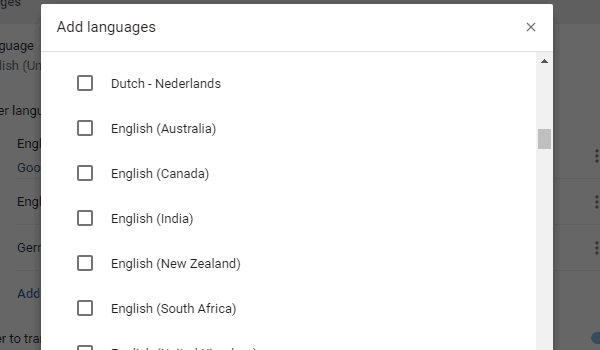 Either scroll down the list or use the search box at the top of the list to locate your language. Tick the checkbox for your language, then click the Add button. The screenshot below uses German as an example. Continuing with German as an example, the added language now displays in your language list. Click the 3-dot menu for the language. Check the box for Display Google Chrome in this language. In order for the language selection to take effect, relaunch Google Chrome. 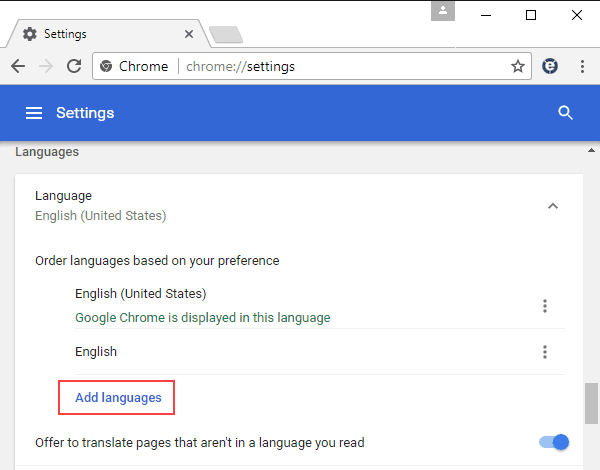 When Chrome relaunches, it will use the language you selected. Thank you for visiting Tech Help Knowledgebase to learn how to change languages in Google Chrome. If you liked this article, follow us on Twitter @techhelpkb and subscribe to our YouTube channel to keep in the loop.